Village Idiot owners Brian and Kelly Glynn reel college students in with pizza and beer – two late-night favorites. It’s not that simple, though, to avoid the fate of so many Five Points bars that are now just memories. The Glynns understand it takes more than just good food and cheap drinks to keep customers coming back. Five Points is lined with bars, but few survive for over a decade – unless they bring something else to the table. Village Idiot owners Brian and Kelly Glynn have beaten the odds with food. The bar, known for its pizza, combines casual daytime dining with a livelier nighttime setup aimed at college students like Deirdre Buchta who flood the entertainment district. It’s 9 p.m., and students looking to enjoy a slice of pizza and cold beer are filling up the Village Idiot, one of the longest-surviving bars in Five Points. “It’s a great place to start and finish the night,” Buchta said. The Glynns bought the bar and restaurant in 2003 – 13 years after it opened – and have weathered the Great Recession and the concerns about shootings and other violence in Five Points. But staying in business means finding profits when students are gone. For the Village Idiot, that means crafting an image as a restaurant as well as a bar and not relying solely on late-night customers, Kelly Glynn said. It also means games, pizza and cheap beer specials for the nighttime crowd like buy one-get one pizzas and $3 pints of beer on Mondays, $1 beers on Tuesdays and trivia on Wednesdays. “In order to get through Christmas break, spring break and summer, you really have to do something more than be a college bar,” Brian Glynn said. Weekday lunch specials are offered as well – two slices and a drink for $4.99 or a slice of pizza, side salad and drink for $6.49. Look behind a successful bar, and you’ll find a person who understands both business basics and what’s important to the customers, said David Nepove, president of the United States Bartenders Guild and mixology director at the California branch of Miami-based Southern Wine and Spirits. “If I’m the boss, I have to be doing things correctly – drinks have to be affordable and the profit margin has to be correct,” Nepove said. Brian Glynn said recognizing people’s differences is key. Some care about cost, some about quality and others about service, he said. “With the college aspect, you’re constantly changing,” Glynn said. “You have new people in every year, and people leave every year. Bartenders at the Village Idiot in Five Points serve nightly drink specials. Cheap drinks and cheap pizza attract late-night students, but owners Brian and Kelly Glynn have also tried to develop a lunch and dinner business, which has helped the bar stay open for 25 years. 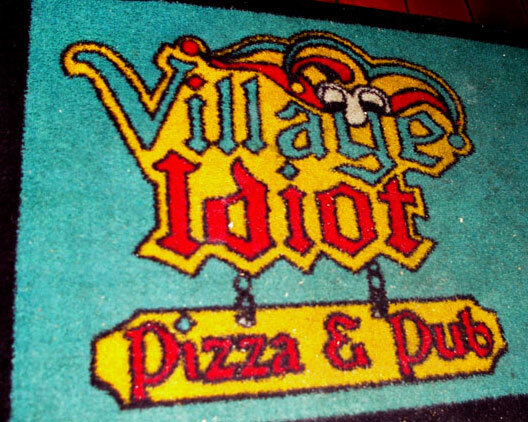 Serving food helped distinguish the Village Idiot, but it also has affected business during the recession and slow recovery. College students typically have about the same amount each week to spend, so they still buy things like late-night food and beer, Glynn said. The lunch and dinner business gets hurt, however, as other people cut back, he said. As the economy struggles, people constantly search for deals, he said. Hurting even more than the Five Points location has been the Forest Drive Village Idiot, which is geared toward families and does not have a bar. It opened in 2009 as the recession was finally ending but as the economy remained bogged down. “We figured it was close enough to Five Points but could also expand the market,” Glynn said. Former bartender and server Kacie Gibson said the Glynns make customers feel like they’ll miss out on a really good time if they don’t come back. Both get to know their customers quickly, said Gibson, who has also bartended at Pinch and now works hosting and serving at Mr. Friendly’s. And then there’s the food: “I love how the smell of pizza hits you immediately at the stairs, and it’s almost like walking up into a secret attic,” Gibson said. The cave-like layout on the second floor of 2009 Devine St. also creates the atmosphere for watching sports, and pairing that with pizza, wings and beer is a simple way to attract a crowd, said Glynn, who started in the business making pizzas in New York. A basic slice of New York style cheese pizza is what Village Idiot owner Brian Glynn says he knows best. Glynn bought the bar with his wife, Kelly, in 2003. College students like a social atmosphere but more than anything they’re looking for energy, Nepove said. Changing the music from laid-back rock ‘n’ roll to upbeat, popular tunes transformed the Village Idiot from a bar that closed at midnight to one where people came and stayed all night, Glynn said. “As you go on longer and longer, you realize the importance of small things like that,” Glynn said. The Village Idiot can be fun even if it’s having a slow night, said Allison Josey, a USC student. “The people working are always really friendly but honestly what keeps me coming back is the food,” Josey said. Melted cheese drips off the huge pizza slices served all night. It’s a good way to stay in Five Points and drink with friends but still enjoy delicious food, she said. Listen to Brian Glynn talk about why many bars have a hard time surviving. Hear Glynn explain the Village Idiot’s consistency. Learn more about bar business trends in the Small Business Development Center’s 2012 report.